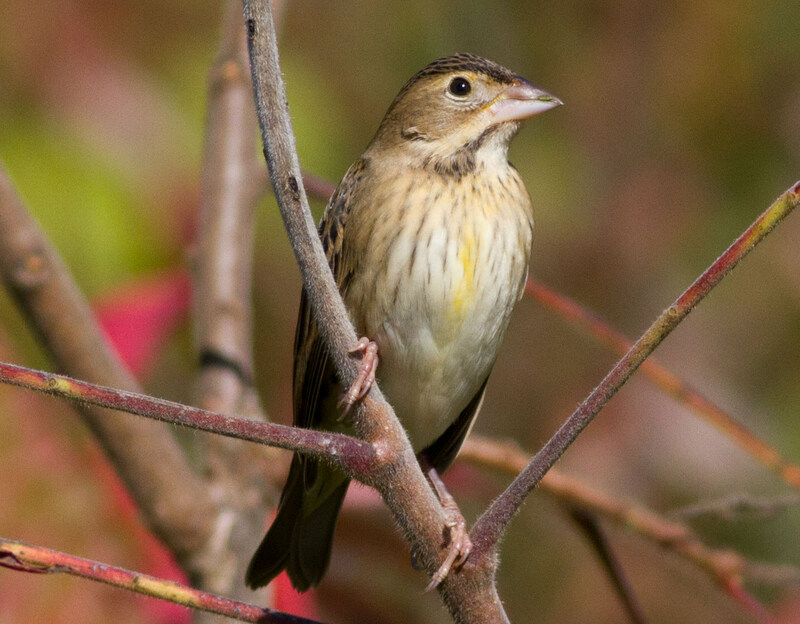 Birder posts with only a four-letter code in the subject and in the body of the message. Someone asks for the meaning of the code. Someone helpfully offers a link to a site with all of the codes. Original poster apologizes, admits to using it because of the small keyboard on his phone. So that’s the end of that, right? Nope. It’s alpha codes we’re talking about, after all. So off things go. 24 hours later, people were still trying to get a word in, and several days later, there were still posts about it. We all know this happens on many listserves on a regular basis. Personally, I have always found things that bother me on a listserv are best dealt with by employing the power of the “delete” key. Yes, young and old, novice and expert, we all yield the same power of not having to read what we don’t want to read. A friend of mine used to write a column for a news site. She shared a comment she once received from a disgruntled reader: “Why do you make me read this! ?” Let’s think about this for a moment. Who’s being made to read anything? It seems ridiculous, doesn’t it? If you didn’t like a particular columnist, wouldn’t you just not read the articles? There are plenty of posts to the Maine-birds listserv that for any number of reasons, I don’t read. I get way too many emails to look at everything, so I select what I am taking the time to read and what gets trashed. But would I ever consider telling someone – privately or publicly – that I didn’t want to read their posts? No, of course not, who would care? “Then don’t!” is the reasonable and rational response. But it is clear that when it comes to certain topics, people just can’t let things go. On birding listserves, there are plenty of hot-button issues that set off a flame war. Cats. Wind power. Records committees. Yeah, we’ve all seen those. I’ll add another topic to the list: “alpha codes.” But why would such a seemingly-inconsequential topic bring forth such strong opinions? Cats kill up to 4 billion birds a year, but people love cats. Records committees are important for historical data-keeping, but are often penetrated by personal, petty politics. But, really, alpha codes? Is this really that big of a deal? “Why? What is it about four-letter codes that gets people so worked up? It’s not like Peterson declared “Confusing Fall Codes” and thereby relegated a generation of birders into thinking these were overly challenging or impossible to learn. “As anyone who knows me has realized, I love exploring birder psychology. A current project has encouraged me to spend considerable time pondering the nuances of birders, how we communicate, how we learn, and how we get upset. And then I let the proverbial feathers fly. I received 67 replies (what was that I was saying about receiving too many emails? ), plus a few in-person comments and conversations, for a total of 72 opinions. And as promised, I will now attempt to synthesize them to find out if we can learn anything. 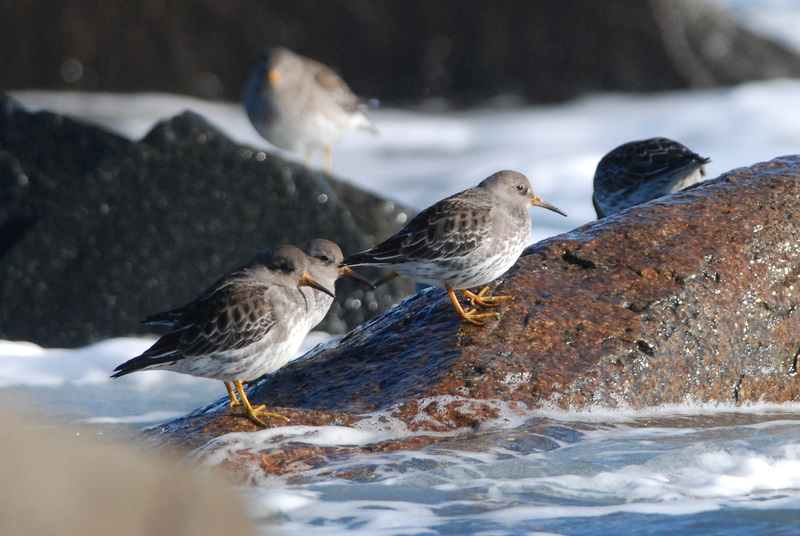 There are currently 1,016 members of the Maine-birds group, so even the relatively high quantity of responses is a fraction of the views of the membership. It is also not a random sample, as only those responding have their opinions registered. And finally, although I promised anonymity in my synthesis, since I had to be emailed directly, the respondents were not anonymous to me, and perhaps some opinions were therefore withheld. That being said, I received some interesting replies. I received some valuable insight, some refreshing honesty, and some irrational hatred. Below, I synthesize the results, and then offer some of my own opinions and perhaps postulate some conclusions. Where I use quotation marks, this is where a respondent’s direct quote was used. When I italicize a word or phrase, I’m paraphrasing or offering an amalgam of similar responses. And the number of responses (whether in the text or in parentheses) is the raw number of respondents that included the referenced reply. Of the 72 opinions, only 2 people suggested that it is perfectly OK (or, should be OK) to use only alpha codes in a post. Many suggested that alpha codes were fine in certain situations, but only if they are obviously defined or quickly referenced in the body of the email. For example, I for one will use alpha-codes in a subject line when I have a string of good birds to report from a location. For example: “Biddeford Pool area shorebirds, 10/26 (HUGO, REKN, PUSA, etc).” To me, that’s practical, as many email systems – and especially phones – don’t display entire subject lines, and we’re trying to pack in as much info as possible into a short space. However, I always make sure it is abundantly clear in the body of the email what those codes referred to. Four respondents commented on their like of this particular use. But there are exceptions to every rule, and all but 2 of the respondents agreed that posts should not solely rely on alpha codes. Obviously, this is because many people don’t like them. In fact, 5 respondents voiced a clear dislike or even deep-seated hatred for the use of codes. Believe it or not, the word “hate” appeared in 3 responses. “Hate”? Really? They’re that bad as to bring our hate? Why? But this doesn’t tell the whole story, as there are a lot of things we don’t know. If a beginning birder in Maine doesn’t know what a Cattle Egret is, you look it up. But you can just as quickly look up “CAEG bird code” in Google, and in fewer clicks than seeing a photo of a Cattle Egret, you get the definition of CAEG. So why take the time to complain to the listerve, or even politely ask for the answer? Why not just look it up? It is my opinion that there is something about alpha codes that make people simply not want to learn them (whether it’s one or many). There’s something off-putting to say the least about them, something that really does bring out the ire in people (Ironically, 3 respondents who said I was mistaken about “ire” or “anger” went on to rant aggressively on the topic). Other unique responses included, “they are simply a nuisance,” and 2 said they were a “barrier” to learning. On the other hand, one alpha-code supporter suggested that the disdain for the codes was that “it makes birds “things” – by taking away the descriptive name or even random short-hand, the qualities that inspire people to love birds so much are stripped away.” That intrigued me, and made me wonder if there was something more ethical or even existential going on. Unfortunately, none of the Against responses suggested that. One of the things that bothered me a bit is how both “sides” often displayed a fundamental misunderstanding of the other side’s concerns and/or criticisms. As with any controversial topic, this is all too often the case. Accusations were frequent in the responses, including some that were so far off-base that they don’t even deserve recognition. First, there’s the misunderstanding that the codes are “arbitrary,” while in fact they all follow a rather strict set of rules. Therefore, you don’t necessarily have to “memorize” (3) most of them, but instead learn a few simple rules. Like anything else, with a little bit of practice, the application and interpretation of the rules becomes accessible. “I personally think studying these codes is not only fun, but also a good learning opportunity. And it makes note-keeping easier, though it seems fewer people do that these days.” Note taking – what a concept these days, and yes, here’s another rant for another day! That’s refreshing, don’t you think? But to me, blatant honesty is also refreshing. Four people admitted they were simply too “lazy” to learn, or simply “don’t want to (8).” OK, that’s fine with me, and most of those folks didn’t complain. For example, one person admitted a dislike for alpha-codes “and therefore I won’t complain if others (use them), I just don’t read the message.” And other said, “I would not complain about them, or ask anyone not to use them, since I feel if it was that important to me, I would learn them.” Fair enough, no one has to learn them if they don’t want to. Once again, the delete key is our friend. As for the oft-referenced idea that it’s only for “scientists,” “experts,” or “elitists,” that just simply doesn’t appear the case. Several people who used them or approved of them were beginning to intermediate birders, and none were scientists in any formal way. Of those I know, none were even remotely someone that you would consider “elitist.” In this and most – but not all, we’ll get to that in a moment – other cases, the use of a code was simply for “convenience”(3) or “brevity” (3). One particularly elegant and insightful reply concluded that “there is a separation one feels internally and/or externally ‘made’ to feel by judging what they think others are projecting upon them – when its really their own concoction.” In other words, there doesn’t seem to be much supporting evidence that anyone on Maine-birds is using codes for any sort of “belittling” (2) or out of arrogance. Instead, they are used because they – once you know them, of course, are convenient. Two people admitted using them because it was they who were lazy, and didn’t want to write out the whole name. So is it just dislike for abbreviations in general? More on that in Part 2, available right here. Derek Lovitch has worked on avian research and education projects throughout the United States, has written numerous articles for birding publications, and is the author of How to Be a Better Birder. He now owns and runs Freeport Wild Bird Supply in Freeport, Maine.